I had coffee with a dear friend recently and it was a perfect way to start the New Year. Besides getting caught up and swapping our cancer survivor stories (how’s that for coffee talk??? ), we had an awesome chat about all kinds of topics. The best part was being able to encourage and cheer each other on for all the awesome new things we’re planning to do. Think about it. Are you surrounded by people who uplift and encourage you? You know–the kind of people you love to be around and you can’t help but feel good when you’re around them. The kind of people who enlarge your world. Or are you surrounded by toxic people who bring you down, people who leave you feeling drained after you’ve finished talking to them? Your associations with other people directly impacts your energy. Have you ever noticed that when your energy is high, you function more successfully? I know that when I’m surrounded by positive people, my creativity and productivity goes off the charts. Take a blank piece of paper and write down the names of all the people you hang out with on any kind of consistent basis. Family members, co-workers, neighbors, community groups, classmates, church members, and so on. Include your internet friends if you find you spend a lot of time interacting with them. Beside each name, put a plus sign or a minus sign. Put a plus sign if you find that the majority of their influence on you is uplifting, positive, and supportive. If you’re not sure about a person, just guess. You now have a list of who you consider to be a positive or a negative influence in your life. And you now have a choice on what you want to do with this list. My recommendation would be to spend more time with the positive people in your life and figure out ways to minimize the time you spend with the negative people. Or remove them from your life altogether and see how things change for you. One more thing. If you decide to remove a negative person, then purposefully choose to replace them with a positive individual. That way you don’t inadvertently let another negative fill in the vacuum of space you just created. As you start adding more positive people to your life, notice how you’re feeling. You may find that as you begin to surround yourself with positive, uplifting people, some of the more negative ones may drift away. Consider that a good thing. Certain people come into our lives for a season or a reason and it’s okay if they don’t always stay. Be grateful for the time you had together and know that new people and experiences will always come into your life. And one final tip. Make a list of the positive people who are not currently on your list, but you know they would have an energizing effect on your life. Maybe ask one of them to meet you for coffee? And remember to ask yourself, which list do you want to be on? Welcome to the Life Cafe! I’m a Hawaii-based Success Coach, Trainer, and Motivational Speaker. I created this column as a place for people to gather, enjoy a cup of virtual coffee or miso soup and get information and motivation to up-level their lives. If you have questions or topics you’d like to see me address, let me know. You can also find me serving information and inspiration on FaceBook at “The Life Cafe.” Cheers! 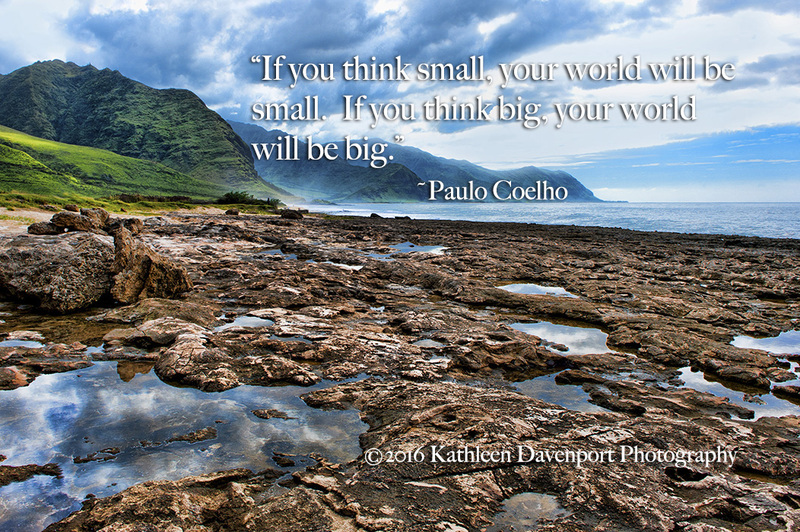 ©2016 Kathy Davenport Image Design. All rights reserved. Next articleThe Makeup Challenge trend.